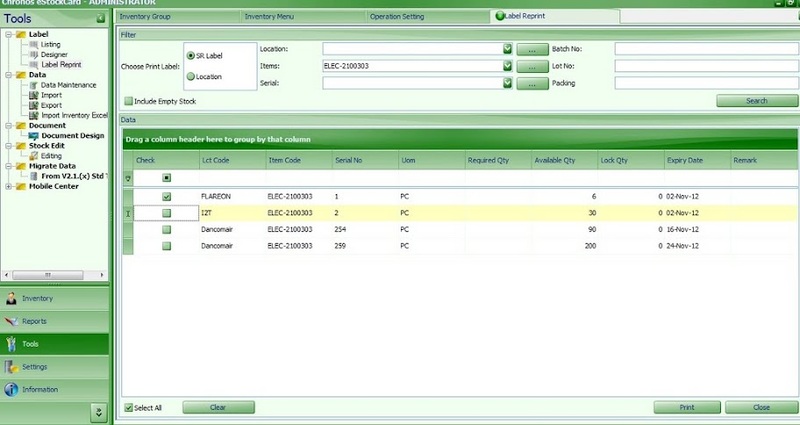 The user would be able to re-print the label for the IN and OUT screen of the eStockCard Warehouse System. 3) Then tick on the list out label to be printed out and click on the Print button. The label will then be reprint out.